A stone herbarium as part of The Eden Project, at a community garden in Cornwall England. Nothing written in stone here. 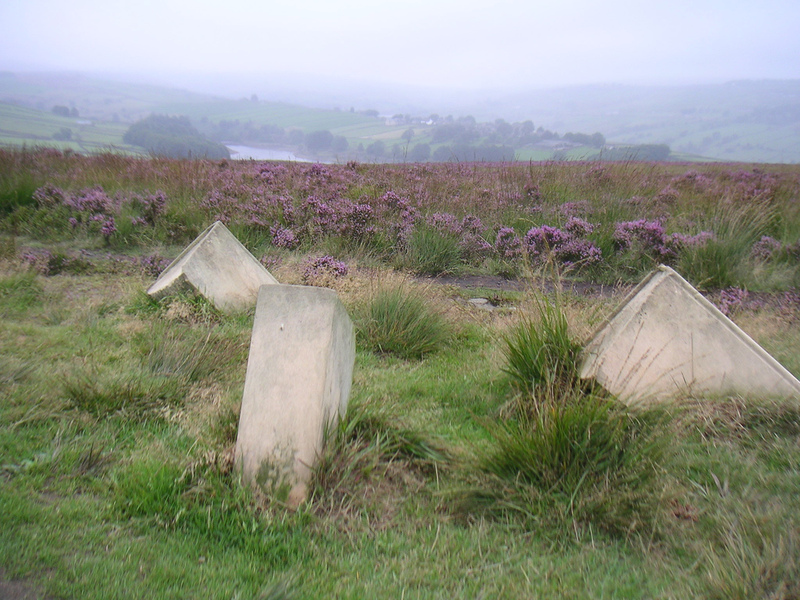 Literary sculpture in a beautiful moorland near Haworth; just north of Manchester, England. 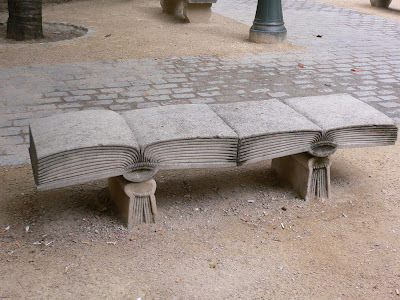 A literary bench for reading in Paris. 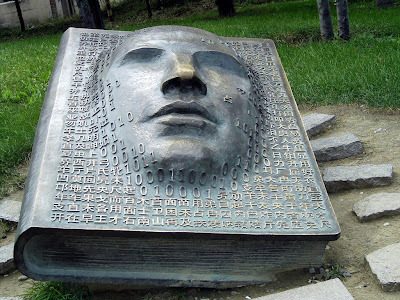 A giant bronze face book on campus of Tsinghua University in Beijing. 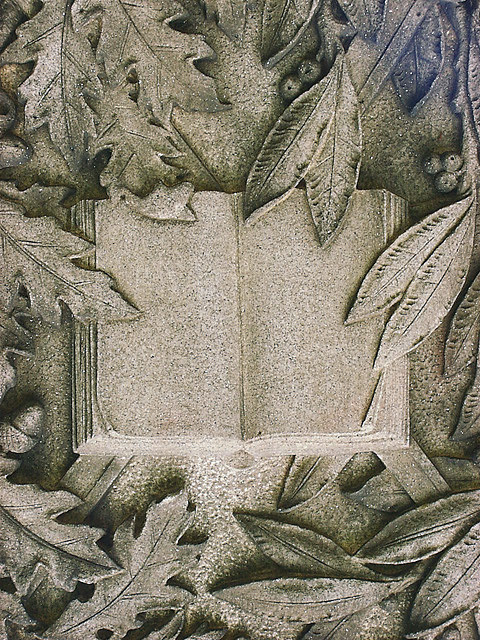 It was designed to celebrate the 90th anniversary of the university. 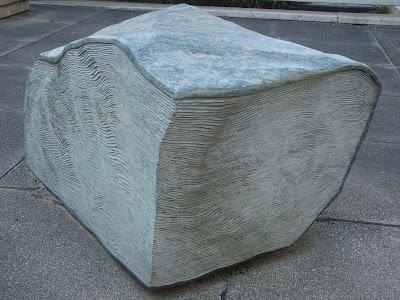 Stone book sculpture. Site unknown. 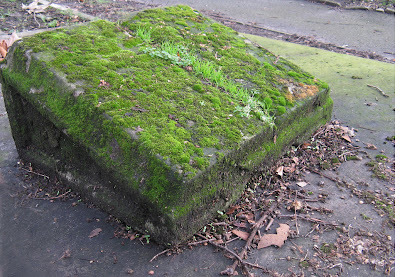 Book of moss with a grass bookmark in Clapham Junction, London. 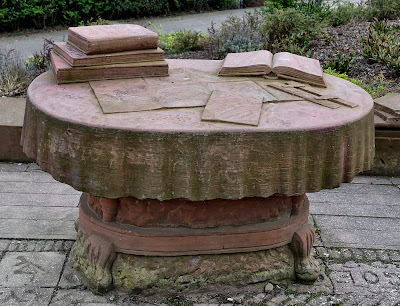 Stone table and books at The Red House, Sunderland, England. Part of the Sunderland Sculpture Trail. 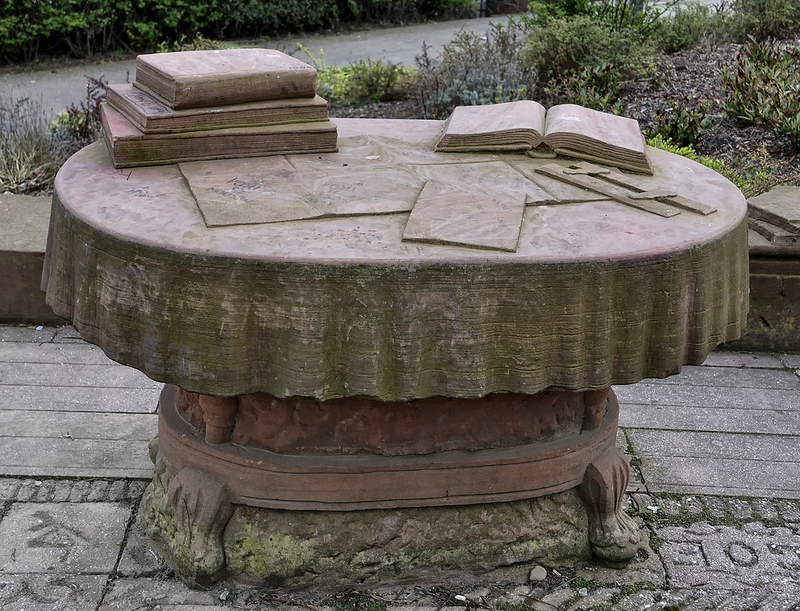 It was carved on location in 1985 by Colin Wilbourn and Karl Fisher. 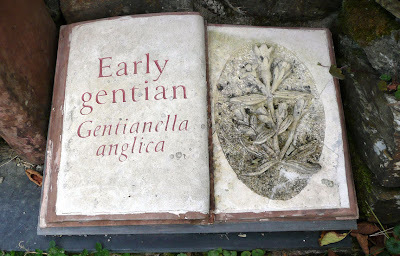 Read more about it here. 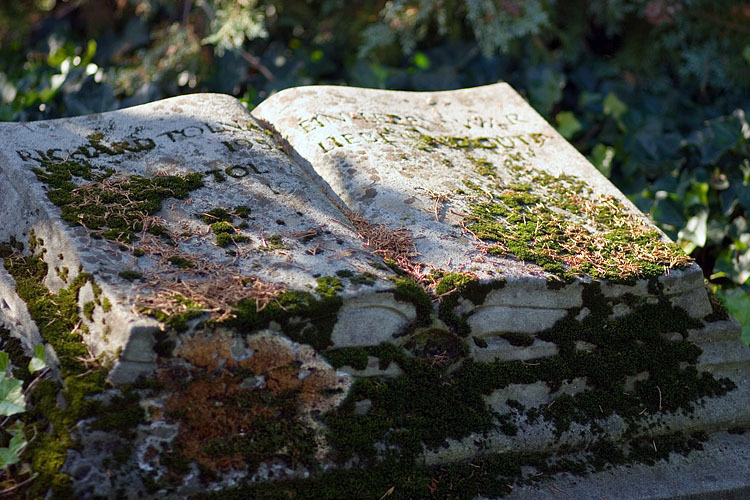 Here lies a stone book for poor Richard. 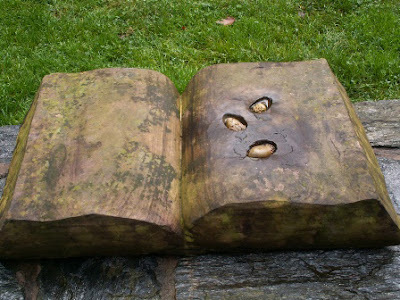 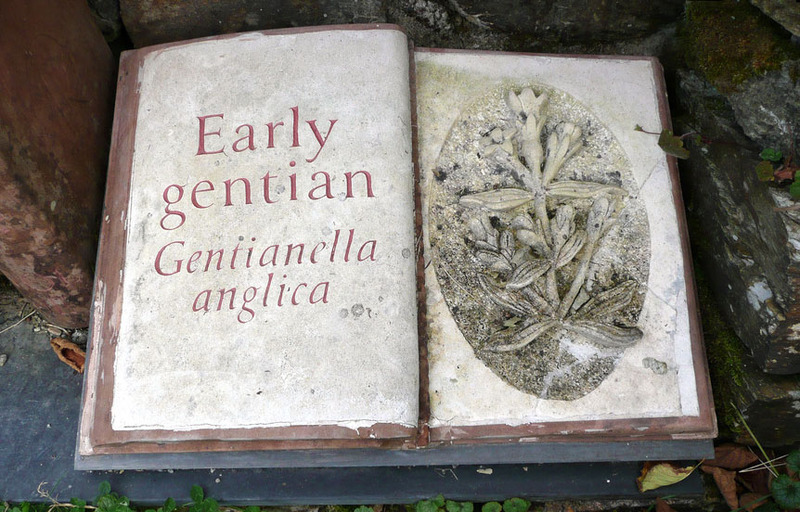 Stone book with three acorns of text. 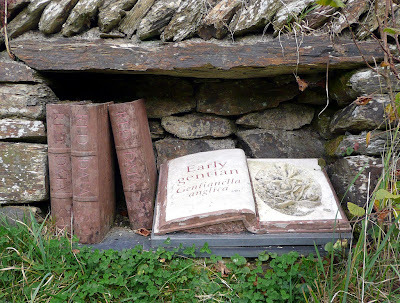 Fantastic examples of stone, really like the one at The Eden Project, community garden.